Seeing all of Rome in a weekend trip is impossible. The city has so much more to offer than its top tourist attractions and you really need 4-5 days to even start to understand more about what the city is beneath its touristy, stereotypical, sometimes smelly exterior. That said, if you only have a weekend to see the eternal city, I've put together my ideal itinerary for a trip to Rome. You'll hit most of the hot spots, with a few forays into the lesser-known neighborhoods and a strong emphasis on food. I chose to make a three day weekend because I couldn't bear to cut it down to anything less but you might be able to make it in 2 if you're savagely efficient and willing to make sacrifices. Below you'll find a full breakdown of a weekend travel guide to Rome, separated into Friday, Saturday and Sunday. Depending on how you're traveling to Rome (by plane, train, car), it might take you a while to get into the city center. Most likely your first point of entry will be Termini Station and from there you can either get your day started right off or head to your accommodations first to drop your bags. Either way, from Termini you can take either of Rome's metro lines and many of its buses, making it well connected to all parts of the city. I'm starting this guide off at lunch because #priorities but feel free to mix and match the following suggestions. Lunch: Da Danilo, close to Termini and in the center is famous for its Roman classics and the many famous people who have eaten there. 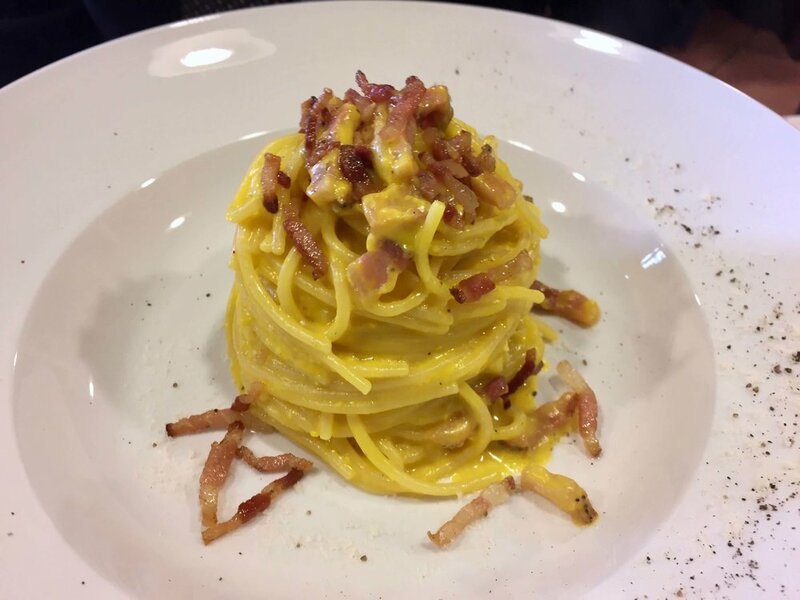 Go for the cacio e pepe, carbonara, or any other Italian speciality. On the other hand, a quick pizza at La Montecarlo is always a great option. You would be in for a quick, cheap lunch, with classic Roman-style pizza for your first meal. Sites: Your first day I recommend going for some of the easier monuments and nothing too museum-y. The Pantheon and Piazza Navona are very close to each other and lend themselves well for a nice day of walking in the center. If you can also make it to the Spanish Steps and take a walk down Via del Corso, all the better. From the end of Via del Corso, in Piazza del Popolo, you can find one of the best views of Rome. Head up the stairs into Villa Borghese and check out Pincio, the view right over the piazza. All of these are (free) famous sites and must-sees. Gelato breaks: a pre-dinner gelato never hurt anybody and della Palma near the Pantheon gives you 150 flavors of gelato to choose from. Not the best in Rome, but definitely an experience. Dinner: Armando al Pantheon is on so many lists for bests restaurants in Rome, it would be a shame not to include on this itinerary. I still haven't had the chance to get there but I have heard that making a reservation is essential. For a place that I've been to many times, Osteria al Pegno is a fantastic spot in the center near the Pantheon. Their wine selection is great, along with their first and second courses. After dinner: Circle back to the Trevi Fountain for its most beautiful viewing period, at dark. You'll escape the crowds and get to experience the most romantic time of day at Rome's most romantic monument. Morning: If you're on a tight schedule and trying to get to Rome's most famous spots, it's always better to head there early in the morning. The lines for St. Peter's and the Vatican Museum are always long and can take hours. I recommend having a quick coffee and cornetto and getting in line for either of them as early as possible. After making your way through the museum, with or without a guide, check St. Peter's off and make sure you get to the catacombs from within the basilica as well. 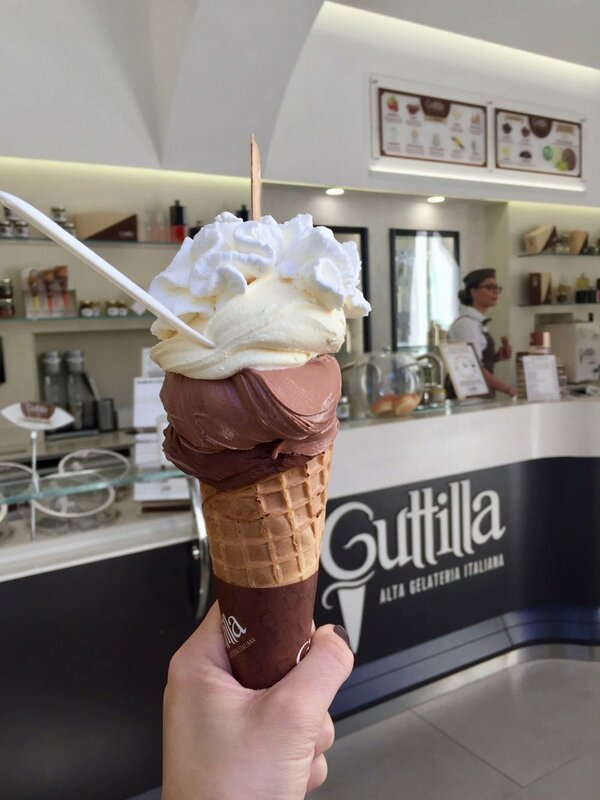 If you need a quick break, Via Cola di Rienzo has shopping and plenty of snack spots with gelato (La Romana), coffee or sandwiches available. Another must on my list is Castel Sant' Angelo for its great views of the center and the Vatican and its interesting history. It mixes an old tomb, prison and Pope's residence into one monument and is a great way to see a different side to the opulence of the Vatican. Lunch: Lunch can either be a quick stop for a snack near this area (a great chance to try some fried rice balls) or a sit down affair. Over the river, Emma Pizzeria has some of the best pizza in Rome, not to mention their selection of prosciutto and other meat. This is my must-try pizza if you're in Rome for the weekend. After lunch, you can take it easy with a walk around Campo de' Fiori and enjoy the food market if it's still up and then head to the Trastevere neighborhood for some old-city charm. Here you'll find ivy covered buildings, small winding roads, pastel colored apartments and all of the restaurants and bars you could want. Dusk will give you perfect lighting for photos and a chance to grab a pre-dinner drink at one of the bars with outdoor seating. Dinner: This can be light, like a pizza, or more intense with some Roman classics at Da Enzo. If you're going to Da Enzo, do be prepared for long lines but great food. Their classic Roman pasta dishes are fantastic and I liked their pasta with oxtail as well. Ai Marmi is a Trastevere institution that has been around for years and lets you see the pizza men at hard at work making countless pizzas every night. It's not polished but it gets the job done in a delicious way. After dinner: If you're still up for plans after dinner, taking a walk around Trastevere is a perfect way to end the night. Choose one of the many wine, beer or cocktail bars around (you can't walk 10 feet with seeing one) and have the chance to talk to locals and other tourists. Breakfast: Assuming you have to leave in the afternoon or at night, you'll want to get things off to an early(ish) start on Sunday. 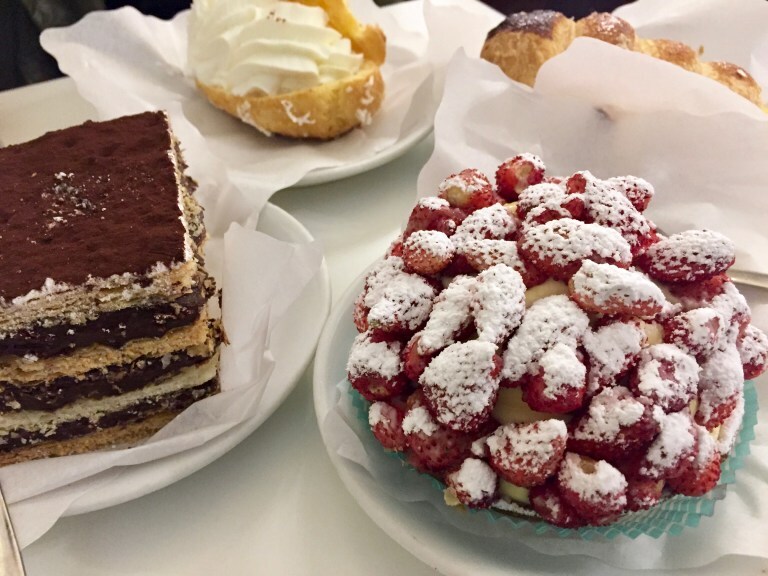 Coffee and pastries are great all over the city, but go to Pasticceria Regoli for some really fantastic dessert-like breakfasts. Their pastries and cakes are divine and are served through a secret window from bakery to coffee shop. Morning activities: Just like the Vatican, the Colosseum and Roman Forum get super long lines. If you're there early, you can cut down on your wait time and won't be enticed by tour guide sellers offering "skip the line" tickets for triple the price. Lunch: If you have time, why not try out an off the beaten track neighborhood in Rome with more locals than tourists. Monteverde, EUR and Pigneto are all good options, but Testaccio is my pick for a great afternoon of activities and food. The Non-Catholic Cemetery is beautiful and a nice way to see gorgeous Roman gardens, while the MACRO has some of Rome's modern art exhibits set in an old slaughterhouse. 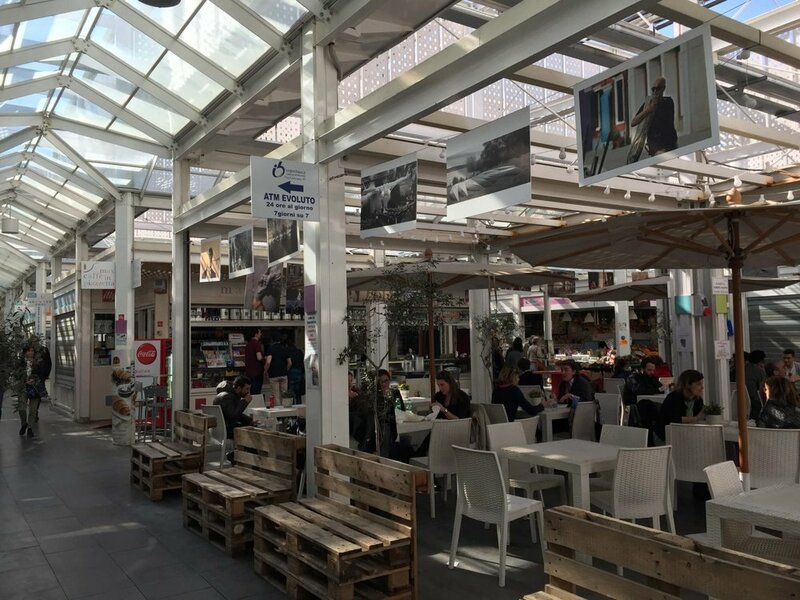 For food, the Testaccio Market has plenty of options that are fun twists on Roman classics. Trapizzini are delicious pizza pockets filled with amazing meats and veggies, while Mordi e Vai's sandwiches are famous for a reason. Otherwise, Flavio al Valevodetto in Testaccio is a great neighborhood restaurant option. With such a tight timeline, you obviously can't see all of the amazing sites that Rome has to offer. This list takes a crack at making a weekend in Rome work and allows you to visit the majority of the important spots, while taking enough time to smell the roses and do what Rome does best: relaxing. Taking time to enjoy life, either in a park, garden, restaurant, or museum is what this city is all about. What are your favorite spots in Rome? Any famous tourist attractions that just didn't cut it?